I’m shy to admit it, but I think it’s safe to say we all feel this way: reading short books make us feel accomplished. Especially when the book’s lightness comes from a graceful plot and considered language, as is the case for Icelandic author Sjón‘s latest novel, Moonstone: The Boy Who Never Was. After crossing the 144 pages, I asked myself what kept me so engaged throughout. Why was the atmosphere so rich as to supersede borders and time? How did Sjón (which means sight in Icelandic, the best pen name I’ve ever heard) create a world that was at once diffusive and exact, so much so that I could carry in my mind and heart the plight of a 16 year old cinephile, hustler in 1918 influenza-decimated Reykjavík? The answer may be simple: Sjón has distanced himself from generic historical fiction. It’s most noticeable in his prose, which is sparse an limpid. A well-regarded poet, Sjón shows his willpower and skill in keeping one line when 100 other (almost) equally good lines could easily be published. He employs this amazing restraint on his research as well. From interviews, I’ve gathered that Sjón spent weeks reviewing popular movies from the 1910s and 20s, sorting through archival documents of Reykjavík’s response to the influenza outbreak, and searching for hints (mostly indirect) of queer life in Iceland. He could have written a book thrice as long about with Mani Steinn (nicknamed ‘moonstone’ after a ‘gentleman’ says that’s what it sounds like in English). Instead, Sjón places the human dramas at the forefront. Save for dates at the beginning of each chapter, he doesn’t hit you over the head with details that he passed in research that might, intuitively at least, authenticate a setting and engage a reader. In Moonstone, the present maintains contact with the past, another rarity among typical historical fiction, which often contents itself with being a simple time capsule. The outdated objects referenced here are few; what’s prized is how the characters interact with each other, the very contemporary fears and biases that structure their behavior. I think the tendency in historical fiction is to dress characters in historical specific clothes; this has a place for some readers, but it can (in my opinion) weigh a narrative down so much that it’s hard to really invest in the characters (e.g. Emma Donoghue’s Frog Music, Sabina Miller’s Valiant Gentlemen, novels so rich in antiquated detail that the garments, which intuitively should add authenticity to a narrative, more often repel it). This investment in the present is rapidly and convincingly explained in the final chapter. 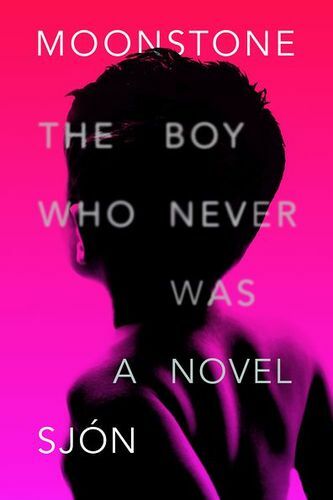 Sjón breaks the historical 4th wall, a move that adds poignant meaning to the novel’s subtitle, The Boy Who Never Was. Perhaps Moonstone strikes me as atypical historical fiction because it is so concentrated, and so heartfelt. One can’t help but share Sjón’s overwhelming belief that this story must be told in the present.